Spanish poet; lived in Seville. He was probably the son of that Abun to whom Moses ibn Ezra dedicated several poems and whose death Ibn Ezra bewailed in an elegy ("Diwan," No. 12; "Monatsschrift," xl. 198). Judah is classed, in Moses ibn Ezra's works on poetry, among the Spanish poets, and his scholarship is highly praised by Judah ha-Levi. Only one short poem of Judah's has survived; it was addressed in token of friendship to Judah ha-Levi, who answered it by another (Judah ha-Levi, "Diwan," ed. Brody, i. 88, No. 63). 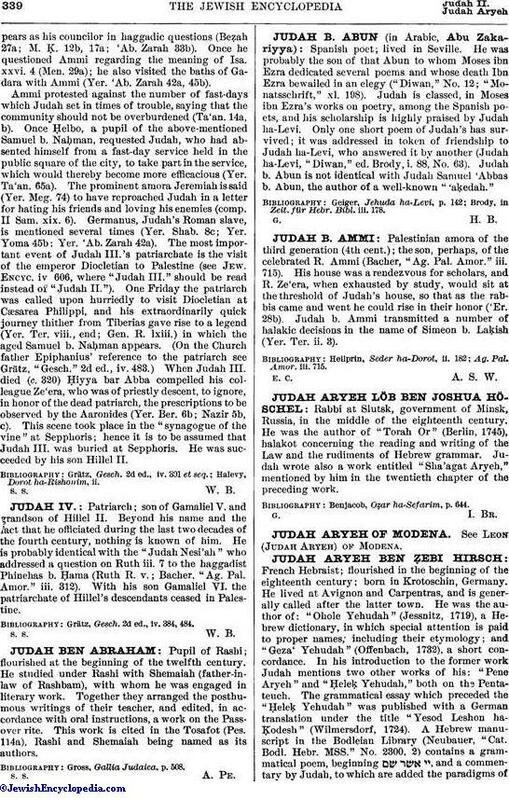 Judah b. Abun is not identical with Judah Samuel 'Abbas b. Abun, the author of a well-known "'aḳedah." Brody, in Zeit. für Hebr. Bibl. iii. 178.